Berkeley, California-based A Dozen Cousins, a new culturally-inspired natural food brand, has unveiled a line of slow-simmered beans. These ready-to-eat beans offer a modern take on traditional African American and Latino dishes while using premium ingredients such as avocado oil, apple cider vinegar, turmeric and other high-quality spices. All three varieties are non-GMO, vegan and naturally gluten free. Each offering boasts 6-8 grams of protein and comes packaged in BPA-free, microwaveable pouches. The beans are available in select California retailers, online at ADozenCousins.com and on Amazon. 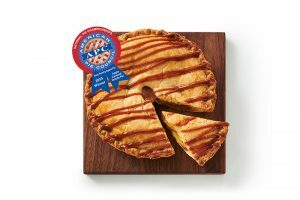 Beyond this initial line, the brand plans to launch other simple meal products that are both authentic and easy-to-prepare. The brand name is inspired by the founder’s daughter, her 11 cousins and all the family meals they enjoy together. The company believes strongly that food, family and culture are closely linked—and it is on a mission to inspire families of all backgrounds to eat better food and live longer, more vibrant lives. A Dozen Cousins is working on a first-of-its kind initiative to help eliminate socio-economic health disparities in the U.S. and will be announcing details of that program in early 2019. 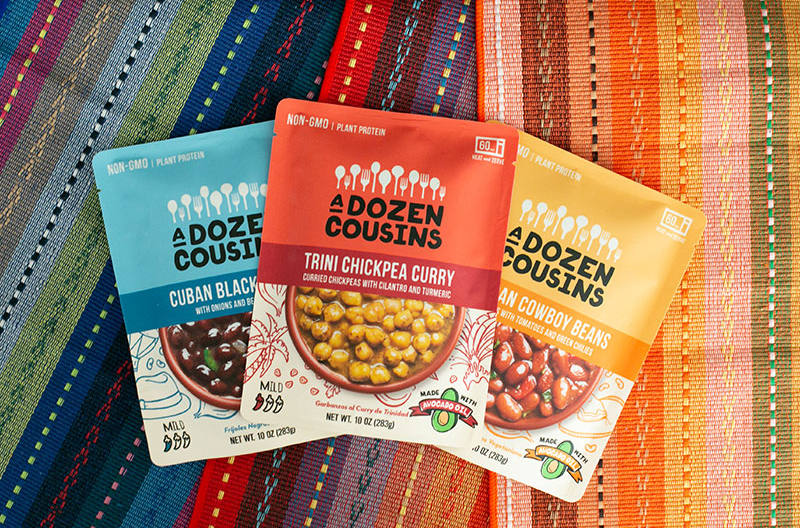 A Dozen Cousins’ authentic line of regional beans is available in three flavors: Cuban Black Beans, Mexican Cowboy Beans and Trinidadian Chickpea Curry.